I’ve lived in Manchester for coming up to two years this year and aside from that, the city has been a big part of my life growing up. 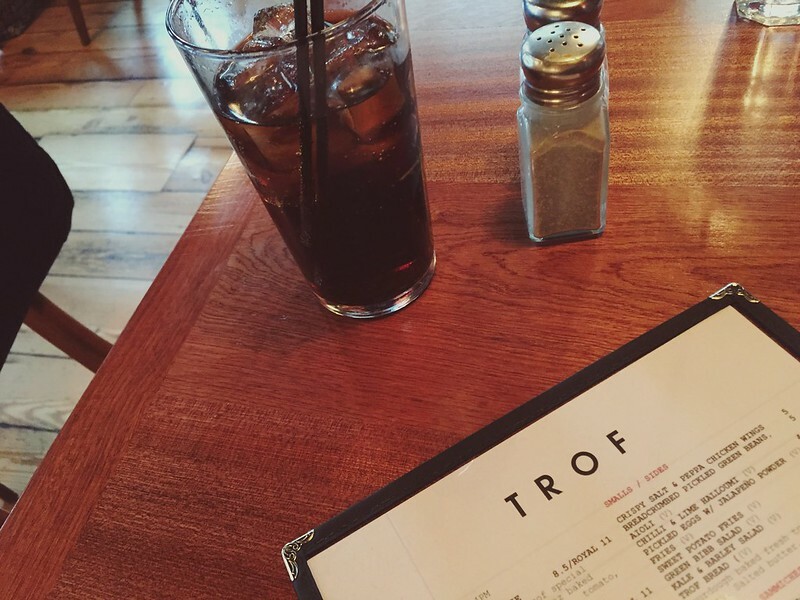 Yet, before moving here I hadn’t experienced half of the amazing restaurants, bars and hidden gems the city has to offer - Trof being one of them. Trof is based in the NQ, which for those not from ‘around here’ stands for Northern Quarter - one of Manchester’s many districts. For those still not clued up it’s sandwiched in between the Arndale and Shudehill tram stop, if all else fails, Google is your best bet. The venue has recently had a mini refurb and not only that, the guys behind the place have also given their menu a little makeover too. My main issue when it comes to Trof’s menu is the fact that I like about 80% of what’s on there, so I’m literally spoilt for choice every time I go. 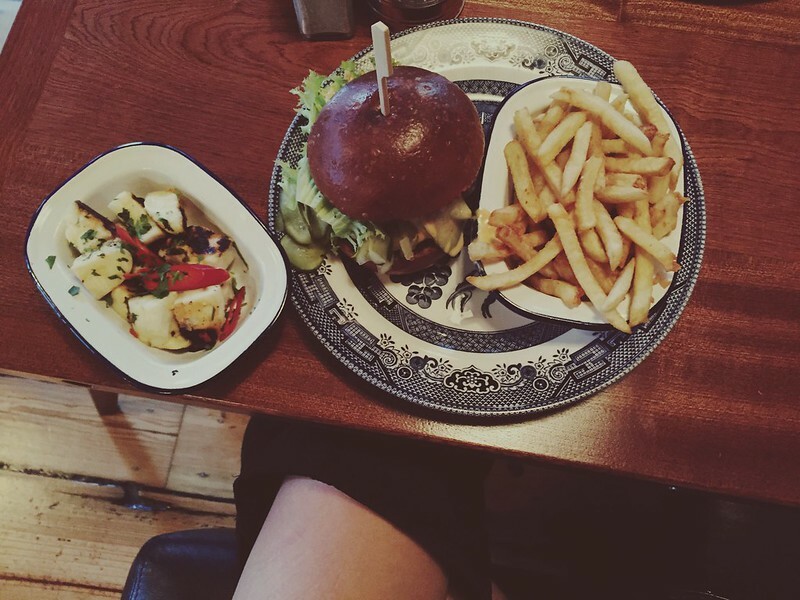 They cover everything you can think of, from salads to sandwiches and burgers to breakfast - whatever your appetite, time of day or cravings, chances are - they have it. 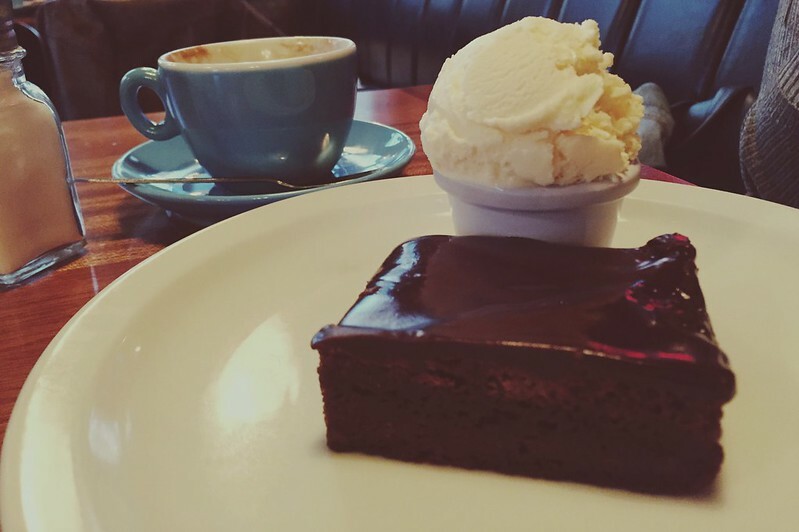 As chocolate lovers, it was inevitable that we’d end up ordering ‘The Crack Brownie’ which, and I’ll quote what I did on the feedback form, ‘changed my life.’ If you’re a chocolate fan too, you HAVE to try this. It’s sumptuous and rich, full of flavour yet not too overwhelming. 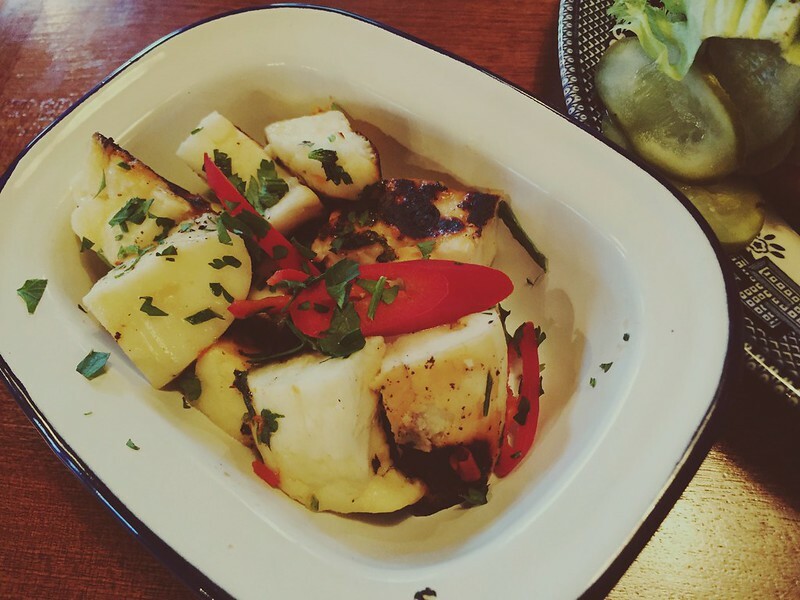 I did share with my friend but it’s easily eatable alone should you have not gone overboard with your halloumi side order like me. All in all, alongside a cosy venue and staff who go out of their way to help at every opportunity, Trof still remains one of my favourite places to go in the NQ and Manchester. 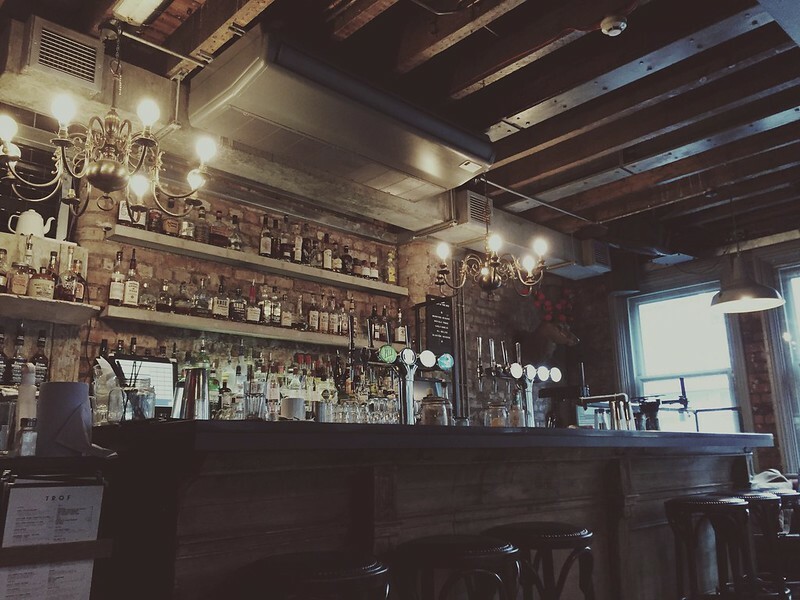 It’s a home away from home kinda vibe and it’s my go-to spot for brunch at the weekend, as not only is it epic, there’s lots of choice and the best bit - it’s served until 4pm, which if you’re like me and you love a lie-in, is perfect. I’m yet to try their Eggs Benedict which is a dish I adore, so I may have to update this post once I do, but, whether you’re new to the area or just have never discovered the wonder that is Trof - I highly recommend!